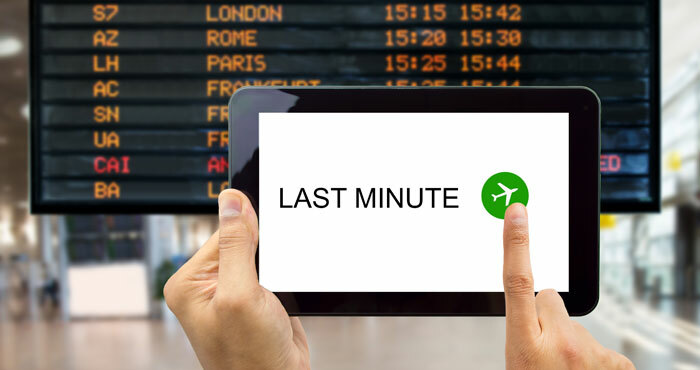 If you're the spontaneous sort – or if you've left it late yet again - fear not, booking last minute travel isn't necessarily going to break the bank. While airlines, hoteliers and tour operators would love you to believe that booking in advance is the only way to save, consider that when seats and rooms are left unfilled, the laws of supply and demand come into play at times pushing down the price for the savvy, plan-procrastinating traveler. We checked out several popular travel sites, both last-minute-geared and otherwise, and rated them for ease of finding last-minute deals and value of said deals. Here's how we'd go looking for a good deal on that weekend break we just decided we were going to take. Flight comparison sites like Kayak are a good way to find the cheapest airfares at any time, especially if you search using flexible dates – for example, if you're able to leave a couple days before or after popular times, such as holiday weekends. 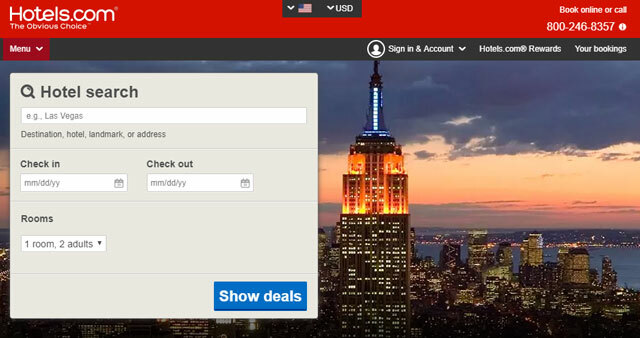 For a dedicated last-minute section that's a breeze to navigate, Expedia is our go-to site. Different destinations may be cheaper at particular times of year. 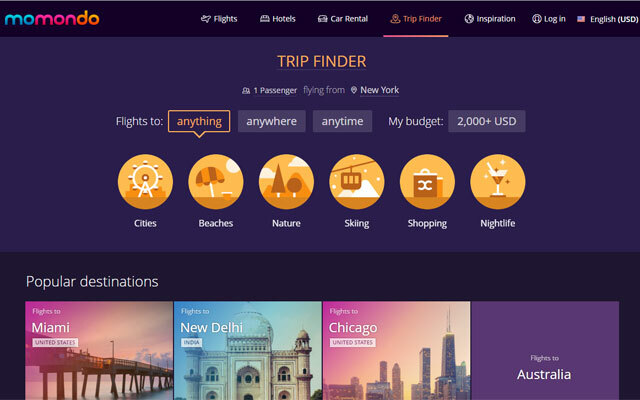 Skyscanner allows you to search by specific dates, with the handy option to set your destination to “anywhere”, while travel search engine Momondo's Trip Finder is a minimal, gorgeously designed feature that lets you select a region (or anywhere) and the month you'd like to go (including the current one) to find the lowest prices by both time and place. Search results are displayed in a visual, wanderlust-triggering interface. And of course traveling to a location destination that’s in its off-season can often make for cheaper prices—as well as smaller crowds. If you have a particular locale you're dying to hit, hunt online for a site that deals specifically with that area. CheapCaribbean exclusively covers the sunny isles of the Caribbean, with a last-minute section that displays deals for accommodation and flights from your chosen airport. Or, for a super-spontaneous cruise holiday, hit up a site like LastMinuteCruises where you can book to sail for the Bahamas or the Caribbean in as few as three days. Not all online travel sites will cater for the last-minute traveler, but you can always call in and see if there's a space for a spontaneous break. Not only is Airbnb likely to offer luxury digs at a better price than similarly-styled hotels, but the prices at the peer-to-peer room/apartment/house-renting giant often don't change even when you're booking on the day you want to check in. If you've found a good price on a flight, head to Airbnb to check out options by budget and location. If Airbnb isn't offering much love where you're going, try Hostelz.com, over 45,000 listings in more than 6,000 cities of hostel accommodation – many a world away from the bunkbed dorms of yore. Reviews come from professionals as well as those who’ve stayed there. 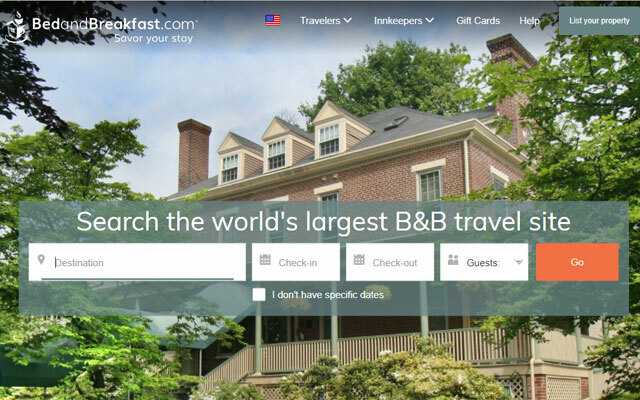 Or, for a more traditional – and last-minute - B&B experience, BedandBreakfast.com lets you search through thousands of B&Bs across the world by date and place. Provide your email address to receive promotional codes and “deals” for your desired locations. Alternately, if you're going to a lesser-known destination that's not likely to be booked up, embrace the spirit of spontaneous travel by simply stopping at the first romantic inn you see. 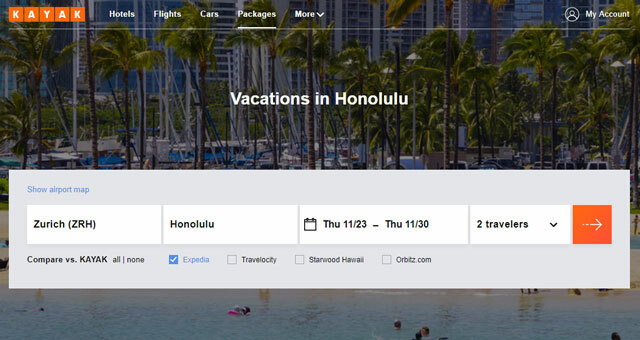 If you had the foresight to sign up for an airline loyalty program – bonus: one attached to a credit card that handily converts amounts spent into air miles – you can check out your airline's reward flight calendar to see if you can spend air miles instead of dollars to leave for Hawaii, like, tomorrow. For more flexibility, get a credit card that lets you transfer miles to a variety of airlines, like American Express and Citibank Thank You Preferred. 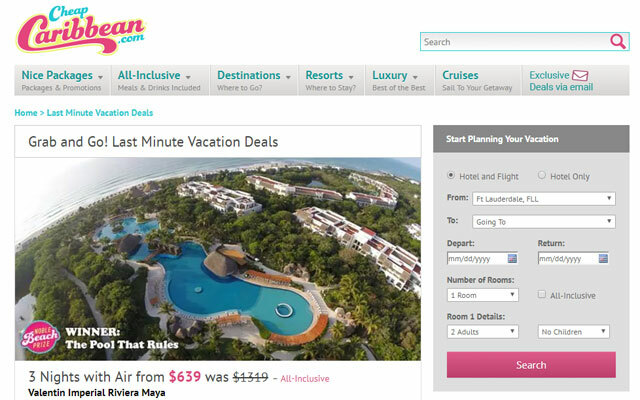 Sites such as Retail Me Not list coupons and offers that can be used at aggregator sites like Hotels.com, as well as specific hotel chains. 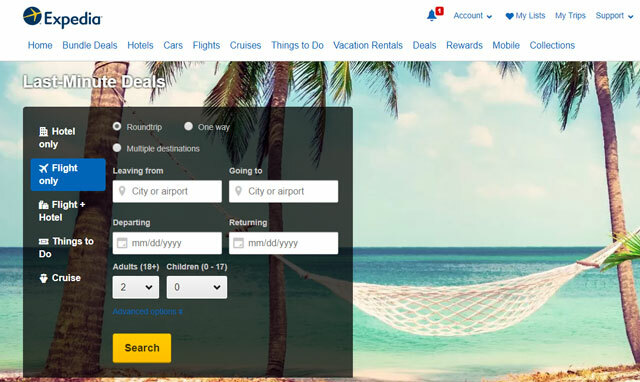 While some “discounts” are simply what the sites are already offering, Retail Me Not is a good way to view all offers across hotel sites and online travel agencies. 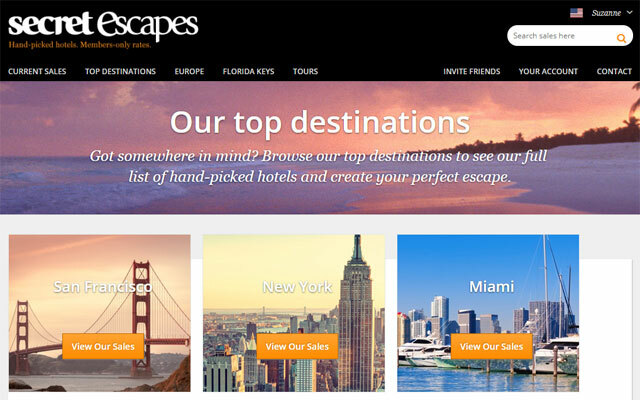 Alternately, Secret Escapes focuses on flash deals for high-end hotels. When we compared prices with hotel aggregater biggie Booking.com on the same dates for a current deal, NYC's NoMad hotel, it was 25% cheaper to book through Secret Escapes, but depending on the hotel and the time of year, you may not always be able to get a last-minute reservation and, more importantly, you can't cancel withot forfeiting the entire amount you paid. If you're keen on hotel living, package tours usually offer a better price than if you booked the flight and (same) hotel separately, thanks to tour operators' ability to purchase rooms in bulk. Google is a good bet for searching out last-minute packages at online travel sites, or Kayak lets you search for flight-and-accommodation packages, with hotel locations displayed on a map so you can discern which is the closest to the beach or town center. According to moneysavingexpert, packages are usually cheaper for set time periods such as seven or 14 days away. But if you're heading to lesser-visited or quieter locales, or for shorter time periods, DIY booking can turn up lower prices. Don't forget, many independent or smaller-time accommodations won't be part of the bulk-buying that allows tour operators to sell accommodations cheaper. Despite the dozens of sites proclaiming themselves to be the purveyors of super-cheap last-minute ultimate deals, you're just as apt to find a good price by hunting for flights and hotels separately on aggregater sites like Kayak, Expedia, as well as Hotels.com and Booking.com, which both offer a seamless way to search by destination, nearness to city center and facilities (often, the problem with last-minute deals is that they reward the flexible, not those who require a gym, hot tub and outdoor pool with a bar). Using apps that can find you the nearest available accommodation can be a godsend to the plan-strapped journeyer who's not entirely sure which part of the city they've wandered into. 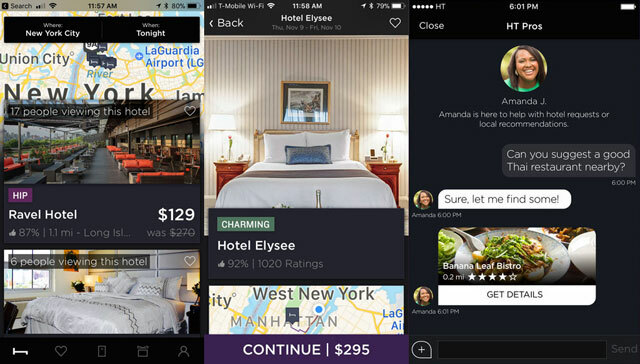 In particular, we like HotelTonight (iOS /Android), which shows rooms available based on your GPS location. Do you have more tips for scoring that last-minute travel plan? Leave your comments below. After booking there’s no contact to c xl a reservation..
at homecityflights.com, choose your home city, then choose your destination. Many cheap flights ordered by price, over 14 million tickets updated daily, 300 home cities to choose from, over 200 countries and their cities as destinations.